Ruth (Goddard) … was a very popular singer. She married Mr. Harry Beaumont, who was for many years organist at St. Mary’s Church. 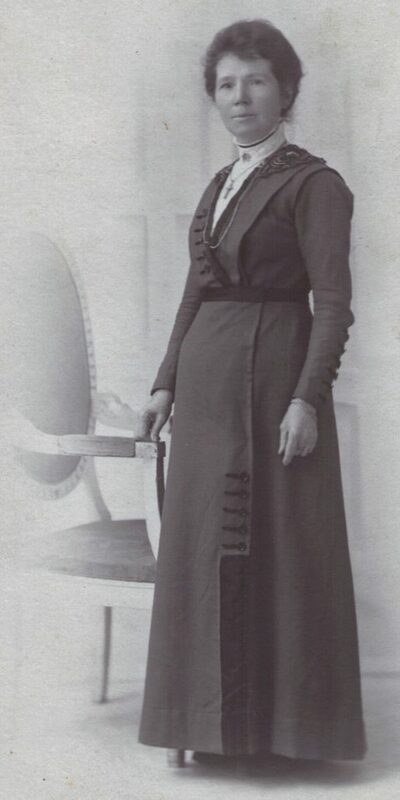 Ruth Veranna Goddard was the youngest child of John and Ruth Goddard, born at 11.20 am on January 22nd 1850, 20 minutes after the birth of her twin sister Mary. (the name Veranna/Verana can be traced back through mother Ruth’s family line). The Goddard musical interests did not stop with the strong connections to the Ilkeston Brass Band. Ruth Veranna was ‘prior to her marriage the leading vocalist in the town, and took part in many of the best concerts in the neighbourhood’. Her marriage on December 2nd 1867 was to Henry Hoggard (sometimes Hoggarth) Beaumont of Bath Street, watchmaker, jeweller and dealer in musical instruments and himself an organist at St. Mary’s Church for several years. 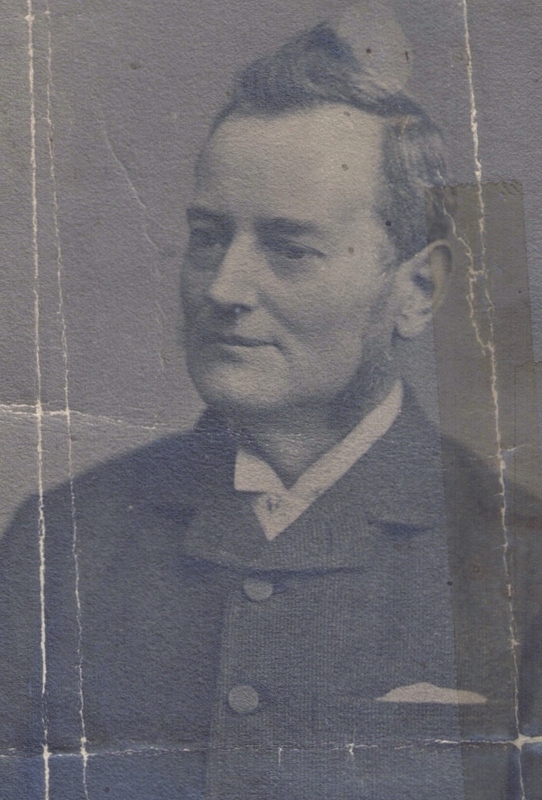 Henry was born in Ollerton, Nottinghamshire, in May 1841, the son of tinner and brazier George and Mary Ann (nee Hoggard). He was baptised at Ollerton St. Giles’ Church as Henry Hoggard Beaumont on June 20th 1841 … and two years later, November 19th 1843, brother George Hoggard Beaumont, was baptised at the same church. In 1861 and still living at Ollerton, Henry was present at the parish church of Warsop, about seven miles away for the opening of a new organ … … ‘a first class instrument (with) thirteen stops (and a) rich mellow tone’, built by Messrs. Bevington & Sons, of London. Although the instrument was played by Martin Bevington, master organ builder of London, he was aided by the Church Choir which was at that time was trained by Henry, who was also the church’s organist. The audience to this event was stuffed with local gentry, the ‘best families of the dukery‘. In 1867 Henry set up his business in Ilkeston as a jeweller and dealer in musical instruments in … though he had kept a similar business in Warsop for a short time just before that. I thank Pam Bates for more photos from her family collection … they appear here. At the end of the century Ruth and Henry lived in the newly-built Vernon House at 87 Lord Haddon Road — which until recently (August 2014) served as the Register Office for Ilkeston. Henry died there on January 29th 1919, aged 77. 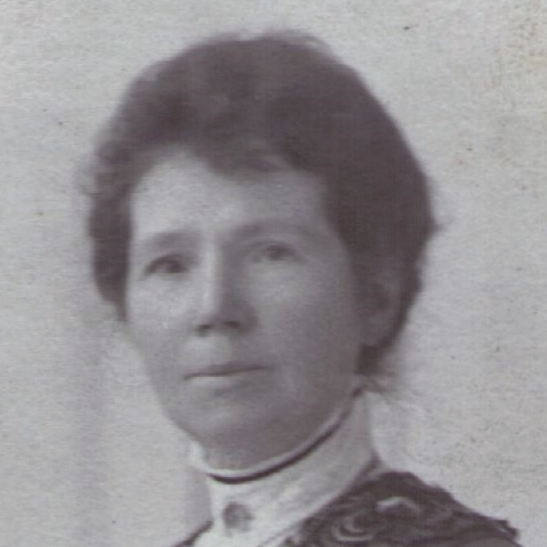 Ruth died on July 4th 1925, aged 75, at 42 St. Mary Street in Ilkeston … the home of her youngest child Frances Marie and her husband George Henry Buckley? 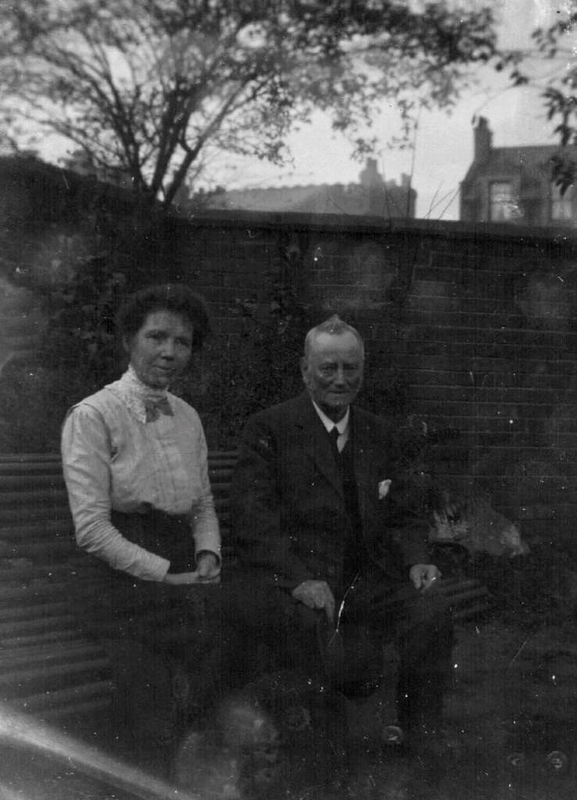 Henry and Ruth relaxing in the garden of Vernon House, Lord Haddon Road behind them. On Thursday August 26th 1899, Richard Holmes, an aged blacksmith and farrier who traded in Providence Place, was taking a pleasant stroll up Lord Haddon Road when he was suddenly gripped around the throat and dragged to the ground by a burly young assailant. The latter took a knife from his coat and ‘demanded of Mr. Holmes his money or his life’. Before Richard could make a decision, enter Henry Hoggard Beaumont !! Sitting quietly in his home, the noise of the affray had attracted Henry’s attention. He left Vernon House to confront the assailant, squared up to him, threatening to hit him on the knuckles with his stick if he did not leave ‘the old gentleman’ alone. Ruth had followed her husband into the street and soon neighbour Edward Clayton joined them. At this point the attacker — perhaps realising he was becoming seriously outnumbered — skulked away, muttering threats and oaths. Thomas Davis of Trueman’s Court was later arrested, tried, convicted and fined for the assault. And finally … the photo on the left is of a young woman, possibly Ruth Veranna … it has been passed to Pam from Jim Beardsley and his sister Madeleine (my thanks to both of them). Is it her ? What do you think ?